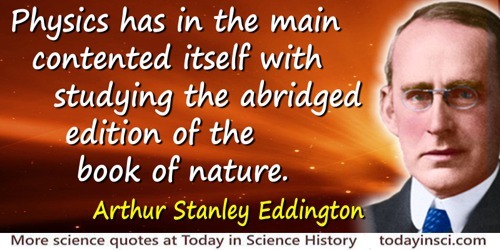 known for his work on the motion, distribution, evolution and structure of stars. 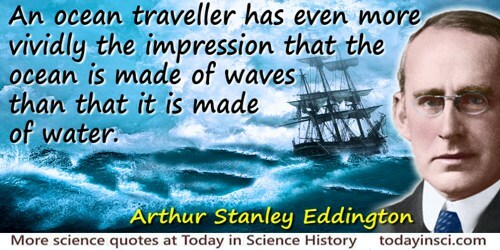 He also interpreted Einstein's general theory of relativity. 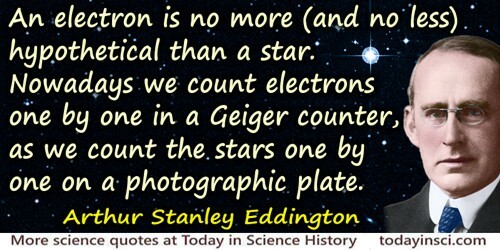 He was one of the first to suggest (1917) conversion of matter into radiation powered the stars. Swarthmore Lecture (1929) at Friends’ House, London, printed in Science and the Unseen World (1929), 41. The Internal Constitution of Stars, Cambridge. (1926, 1988), 393. 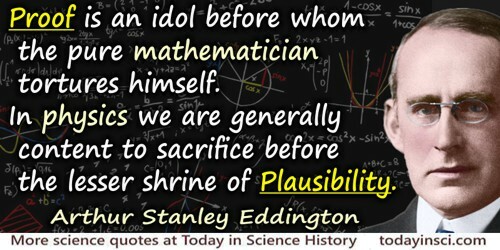 From Gifford Lecture, Edinburgh, (1927), 'Reality', collected in The Nature of the Physical World (1928), 280. 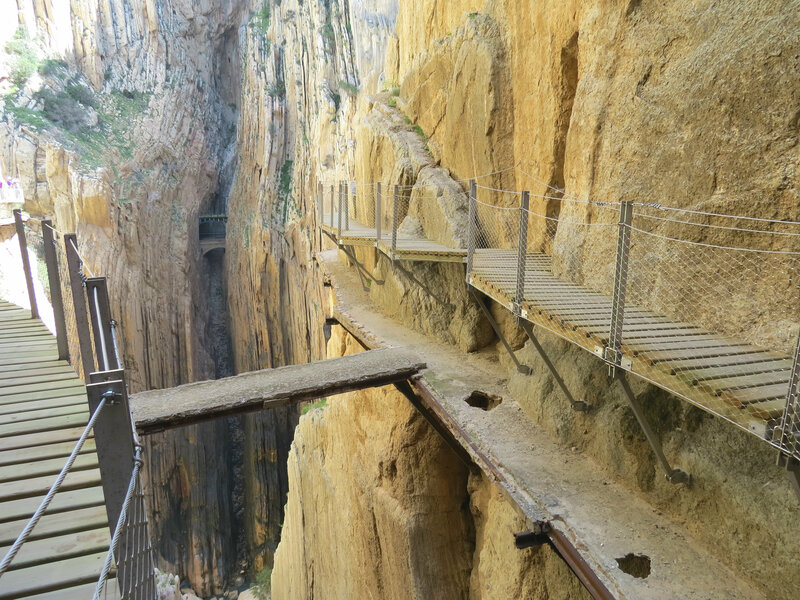 Even if religion and morality are dismissed as illusion, the word “Ought” still has sway. Swarthmore Lecture (1929) at Friends’ House, London, printed in Science and the Unseen World (1929), 55. Human life is proverbially uncertain; few things are more certain than the solvency of a life-insurance company. In The Nature of the Physical World (1928), 300. Swarthmore Lecture (1929) at Friends’ House, London, printed in Science and the Unseen World (1929), 24-25. In Stars and Atoms (1927), 20. Swarthmore Lecture (1929) at Friends’ House, London, printed in Science and the Unseen World (1929), 67. Messenger Lectures (1934), New Pathways in Science (1935), 110. It is difficult for the matter-of-fact physicist to accept the view that the substratum of everything is of mental character. But no one can deny that mind is the first and most direct thing in our experience, and all else is remote inference—inference either intuitive or deliberate. From Gifford Lecture, Edinburgh, (1927), 'Reality', collected in The Nature of the Physical World (1928), 281. Man is slightly nearer to the atom than to the star. … From his central position man can survey the grandest works of Nature with the astronomer, or the minutest works with the physicist. … [K]nowledge of the stars leads through the atom; and important knowledge of the atom has been reached through the stars. Lecture 1. Stars and Atoms (1928, 2007), 9. Swarthmore Lecture (1929) at Friends’ House, London, printed in Science and the Unseen World (1929), 37. From Gifford Lecture, Edinburgh, (1927), 'Relativity', collected in The Nature of the Physical World (1928), 30. Ninety-nine people out of a hundred have not seriously considered what they mean by the term “exist” nor how a thing qualifies itself to be labelled real. Swarthmore Lecture (1929) at Friends’ House, London, printed in Science and the Unseen World (1929), 69. 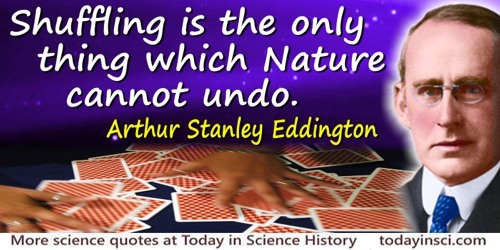 A. V. Douglas, The Life of Arthur Stanley Eddington (1956), 110. Swarthmore Lecture (1929) at Friends’ House, London, printed in Science and the Unseen World (1929), 46. In 'A Generalization of Weyl's Theory of the Electromagnetic and Gravitational Fields' in Proceedings of the Royal Society of London (1921), 99, Series A, 108. From Gifford Lecture, Edinburgh, (1927), 'The Running-Down of the Universe', collected in The Nature of the Physical World (1928), 64. So far as physics is concerned, time’s arrow is a property of entropy alone. Gifford Lectures (1927), The Nature of the Physical World (1928), 80. Something unknown is doing we don’t know what—that is what our theory amounts to. 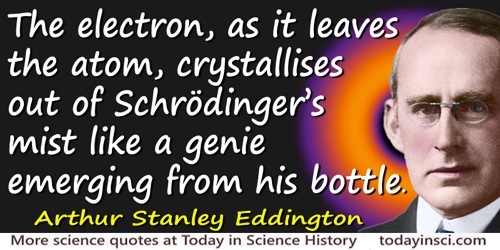 Expressing the quantum theory description of an electron has no familiar conception of a real form. In The Nature Of The Physical World (1928), 291. The helium which we handle must have been put together at some time and some place. We do not argue with the critic who urges that the stars are not hot enough for this process; we tell him to go and find a hotter place. The Internal Constitution of the Stars (1926), 301. 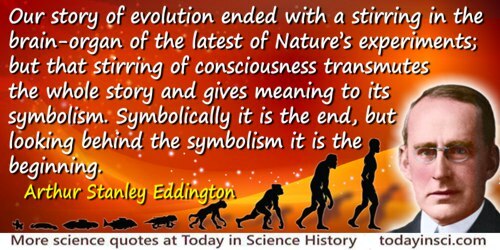 In 'The Concept of Structure', The Philosophy of Physical Science (1938, 2012), 137. Swarthmore Lecture (1929) at Friends’ House, London, printed in Science and the Unseen World (1929), 40. From Gifford Lecture, Edinburgh, (1927), 'Relativity', collected in The Nature of the Physical World (1928), 26. 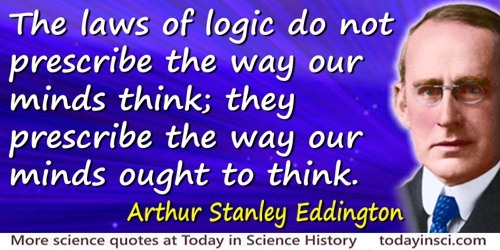 Messenger Lectures (1934), New Pathways in Science (1935), 39. In Space, Time and Gravitation: An Outline of the General Relativity Theory (1920, 1921), 163. Swarthmore Lecture (1929) at Friends’ House, London, printed in Science and the Unseen World (1929), 68. Swarthmore Lecture (1929) at Friends’ House, London, printed in Science and the Unseen World (1929), 82. 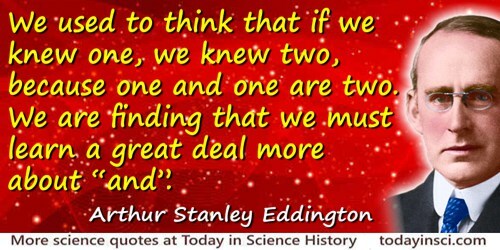 We used to think that if we knew one, we knew two, because one and one are two. We are finding that we must learn a great deal more about “and”. As quoted in John Michael Cohen and Mark J. Cohen (eds. ), The Penguin Dictionary of Modern Quotations (1971), 106. Swarthmore Lecture (1929) at Friends’ House, London, printed in Science and the Unseen World (1929), 49. 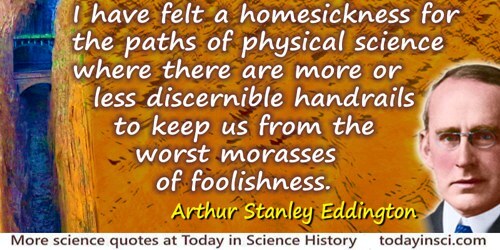 Quoted in Astro-Physical Journal, 1945, 101, 133. Swarthmore Lecture (1929) at Friends’ House, London, printed in Science and the Unseen World (1929), 88. 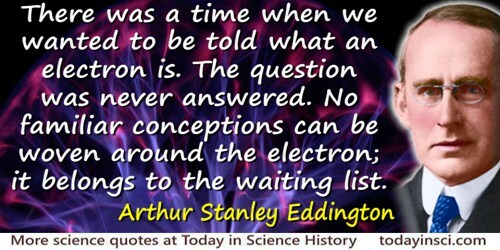 Sir Arthur Eddington deduces religion from the fact that atoms do not obey the laws of mathematics. Sir James Jeans deduces it from the fact that they do. In The Scientific Outlook (1931, 2009), 77. 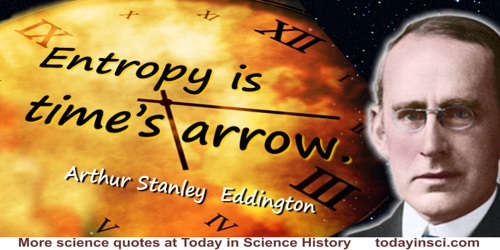 28 Dec - short biography, births, deaths and events on date of Eddington's birth.